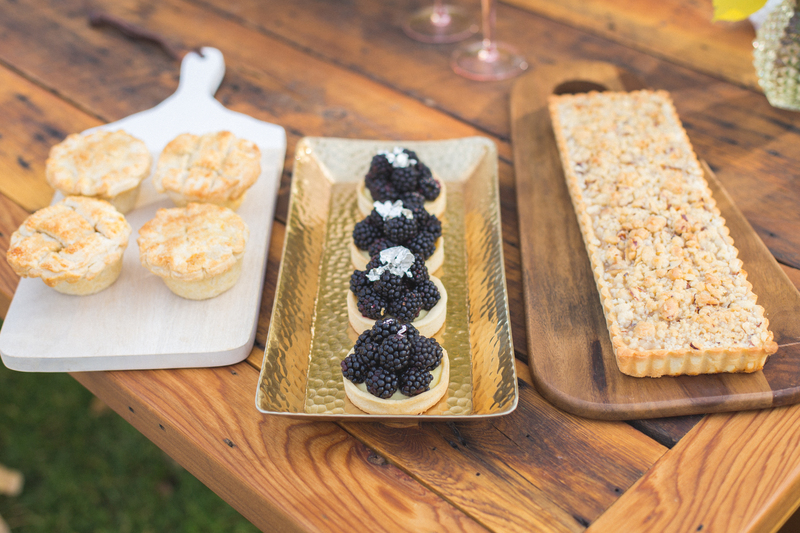 We had an amazing shoot with Meigan Canfield at the Lyons Farmette in Lyons, CO! 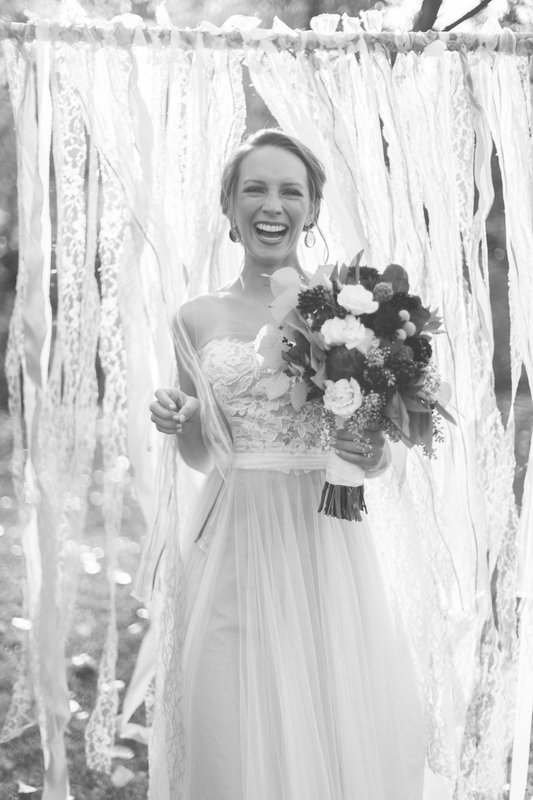 After waltzing into our store to ask for a magazine, Meigan made an awesome connection with Julia, our store manager, and they started to plan a styled shoot! 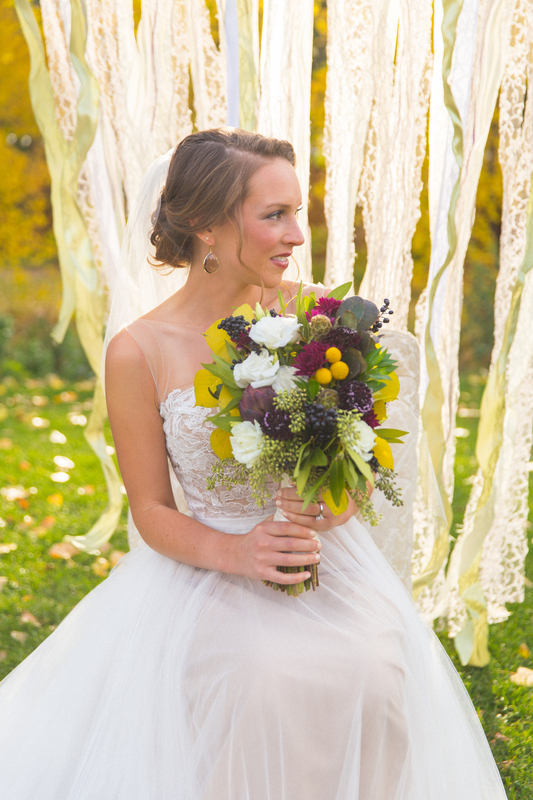 We wanted to incorporate simple dresses from our newest collections, with bold colors, and a touch of vintage whimsy. 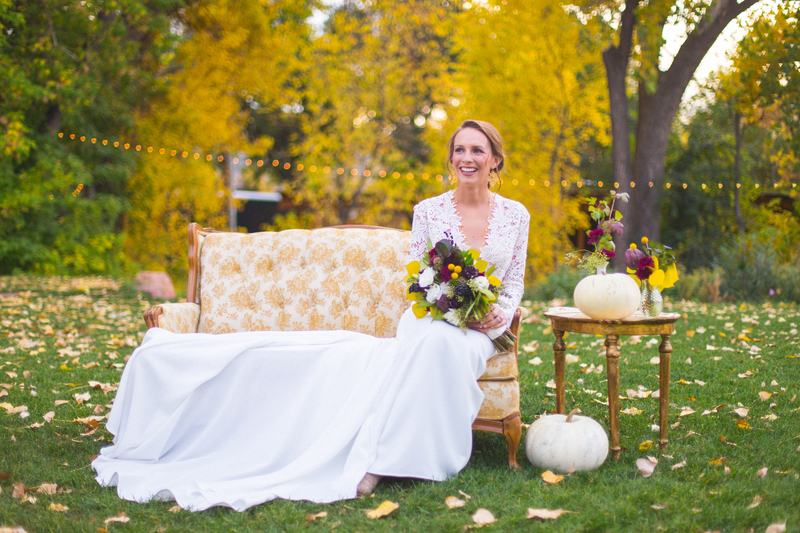 Meigan reached out to her favorite florist, bakery , and venue to come up with the perfect Colorado shoot. 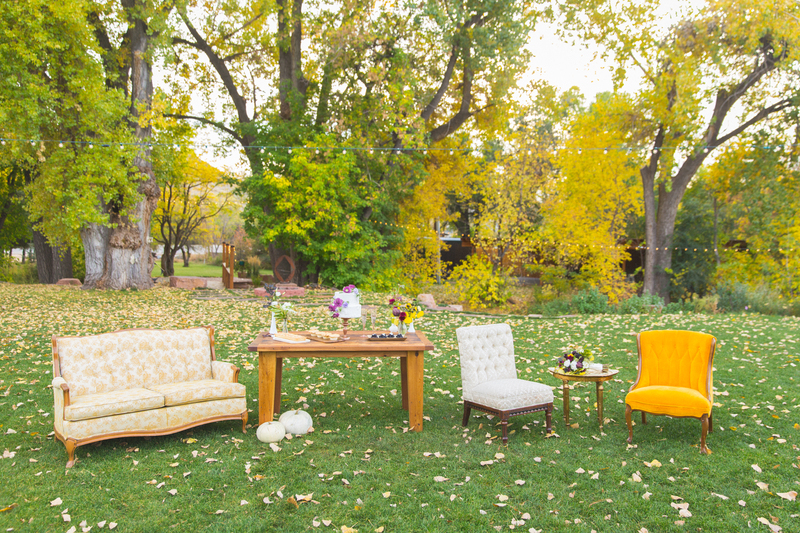 Pots & Petals did an amazing job mixing the mustard and plum fall colors within the bouquet and decor, which complimented the vintage furniture featured by Harvest Handmade Event Tables and the gorgeous confections by Sugar bakery . 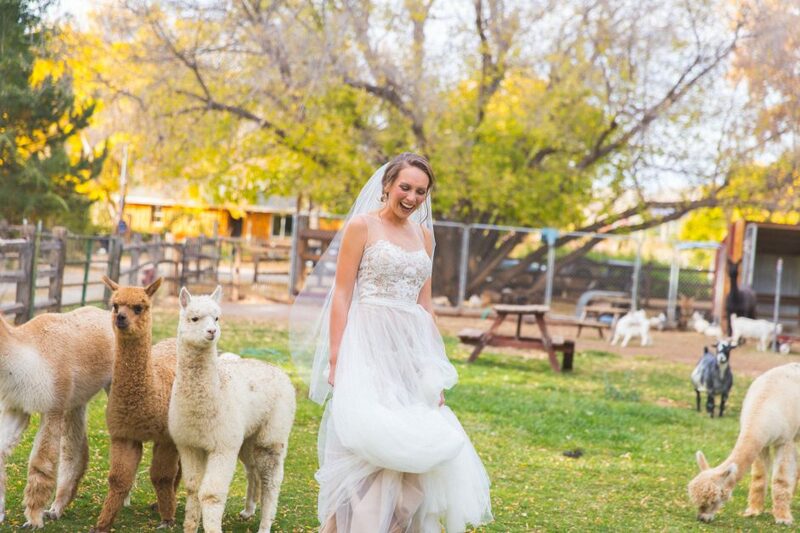 Our star model, Lauren, did a wonderful job modeling our Love Marley “Penelope” and Tara Keely 2450 dresses, from the most recent Fall 2014 collections. 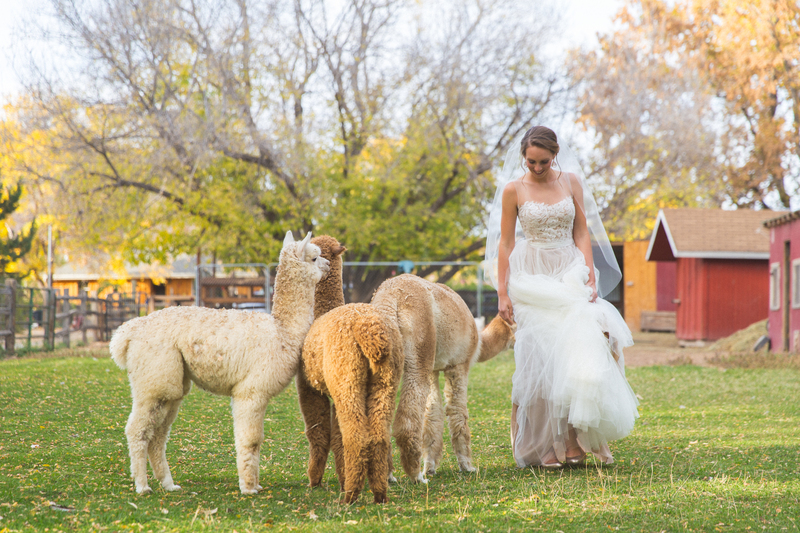 The shoot took place on a farmette which even included alpacas and hens! 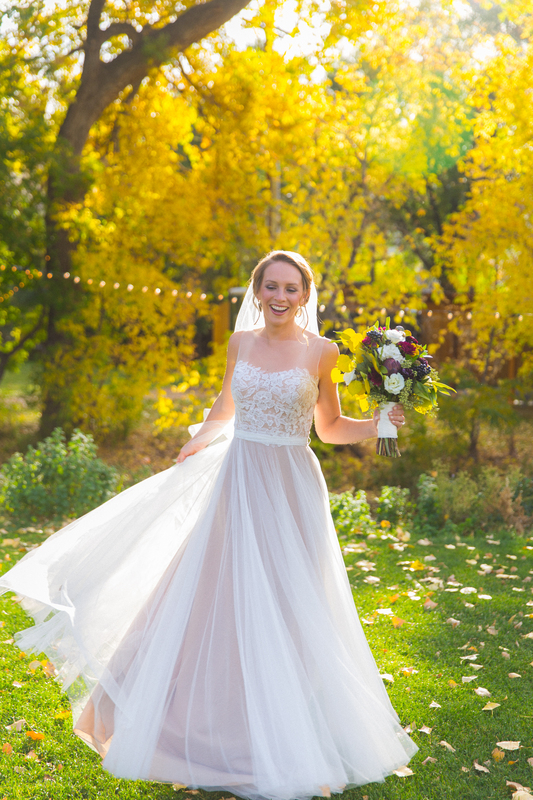 The autumn background of changing leaves showcased the bride, her dress, and her most perfect day. 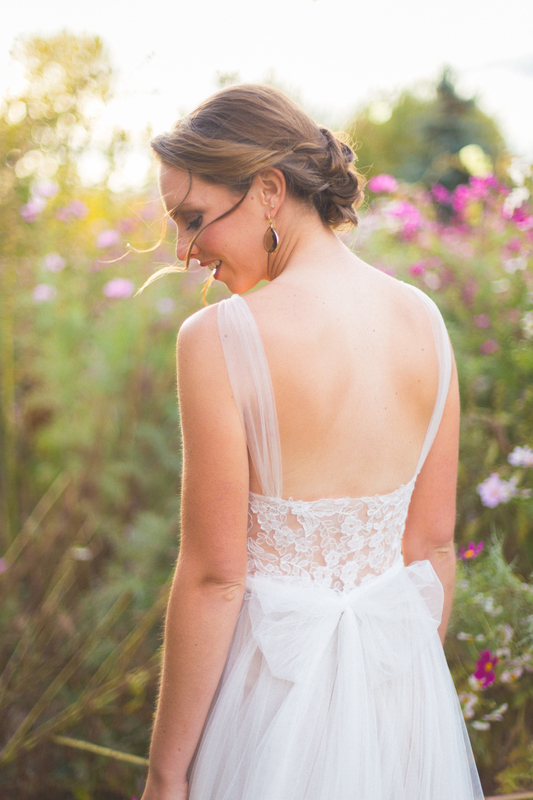 The photos really capture the beauty of contrast between the bold and soft colors.